As electric vehicle production increases, demand for lithium is on the rise — and production is following close behind. If you’re not already driving an electric car, odds are that you’ve thought about how driving a more energy efficient vehicle might help you save on gas — and with good reason. 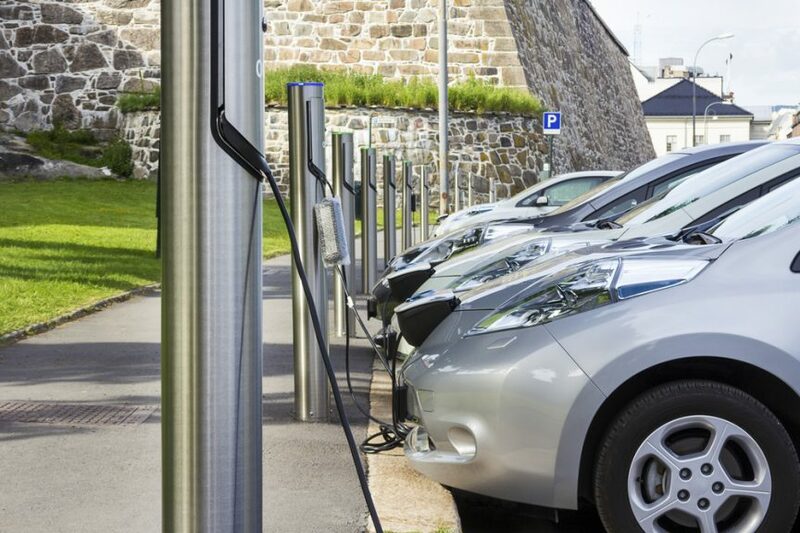 Recent surveys estimate that by as soon as 2025, one in six cars will be electric. As battery technology becomes more and more sophisticated and electric cars rise in popularity, demand for lithium — the key ingredient in an electric vehicle’s (EV) rechargeable battery — is rising in kind. Lithium, an alkali metal, has many applications. It’s long been used in the manufacture of aircraft, as well as across the pharmaceutical industry, but it’s in the modern rechargeable battery that lithium has found its greatest utility. As the lithium-ion battery continues to find new use-cases, and as the products it powers capture more and more market share, worldwide demand for lithium continues to grow at an accelerated pace. These days, Li-ion powers everything from smartphones and tablets to computers and grid storage batteries, but it’s the electric car market that’s really moving the needle. The auto industry has, by all accounts, decisively embraced the vision of a electric future. With already significant investments sunk into battery technology, and Reuters reporting the amount of planned global battery EV investment at $90 Billion as of earlier this year, there can be little doubt that auto manufacturers are putting their money where their mouths are. And with no serious competitor to Li-ion technology even on the horizon, lithium is poised to own the market. As such, lithium production is projected to skyrocket. In fact, worldwide lithium production rose roughly 13 percent from 2016 to 2017, with 43,000 metric tons of lithium mined in 2017 alone. Australia, Chile, and China have all emerged as major producers of lithium, and in recent years, contracts for lithium mining in these countries have gone through the roof. The resulting construction of new mining facilities has led to the creation of thousands of new jobs across the global mining industry. When it comes to the construction of new lithium mines, worker safety, productivity, and efficiency are always top priorities. One challenge that mining companies will need to confront is how to manage the particulate matter produced by open-air lithium mining. In order to achieve workplace safety, protect mining equipment, and maintain compliance with environmental regulations, lithium mining companies will need to invest in proven dust control programs. With over 40 years of experience in the mining industry, Midwest Industrial Supply, Inc. has helped companies throughout the world develop turnkey dust control solutions that keep mines running smoothly without undermining efficiency. Midwest has a line of industry-leading product offerings customized to address your particular dust control needs. Our patented Soil-Sement® product allows operators and builders to meet strict EPA standards for the reduction of PM10 and PM2.5 emissions. And when applied correctly, our innovative dust control product EK35® uses a specialized binder system to trap dust within the surface of haul and access roads, preventing dust from entering the atmosphere while reinforcing the roadbed. The power of lithium can only be harnessed if lithium production facilities are able to mine it safely and efficiently. Midwest can work with any facility — from Australia to Chile — to build a customized application plan or managed service program tailored to your worksite’s needs. Midwest will be at your side every step of the way to help you bring consumers the lithium-powered products of the future.